CNN today announced the launch of the iReport Film Festival, CNN’s first user-generated short film competition, providing a platform for voters to document this year’s presidential campaign from their personal vantage point, whether they are volunteering for a campaign or have compelling stories about this election they want to document creatively. Winning submissions, judged by both CNN.com users and a panel of judges from the film and television industry, will be announced during Anderson Cooper 360° on Thursday, November 13. Through iReport.com, CNN Worldwide’s uncensored, unfiltered, unedited, user-generated community news Web site, the iReport Film Festival will enable viewers to share their experiences of this memorable presidential campaign. 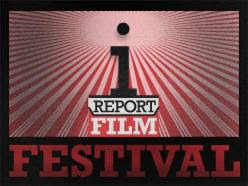 To submit videos, filmmakers can go to www.iReport.com/filmfestival, where all of the entries also are available for viewing by the iReport.com community. Festival entrants must be 14 years of age or older. Their films must be no longer than eight minutes and must be uploaded to the site by midnight on Sunday, October 12. Each Tuesday leading up to the announcement of the festival winners, one of the videos will be featured on Anderson Cooper 360°. Additionally, Headline News will showcase submissions Wednesday mornings on Morning Express with Robin Meade, Friday evenings on Showbiz Tonight, and over the weekend on News to Me. Of the entries uploaded to www.iReport.com/filmfestival, 20 finalists will be selected by a committee composed of CNN producers, iReporters and students from film schools and high schools across the country. Those 20 films will be posted to CNN.com, where the site’s users will vote to determine the winner of the CNN Audience Award. The finalists also will be judged by a panel of professionals from the television and film industry for the Festival’s Grand Jury Award. Winners of the CNN Audience Award and the Grand Jury Award will be invited to travel to Washington, D.C., during the Presidential Inauguration on Jan. 20, 2009, to shoot another film for CNN’s consideration. Call your senator and demand it.